A little while ago I purchased a KIKO velvet passion matte lipstick in a purple shade and instantly fell in love. 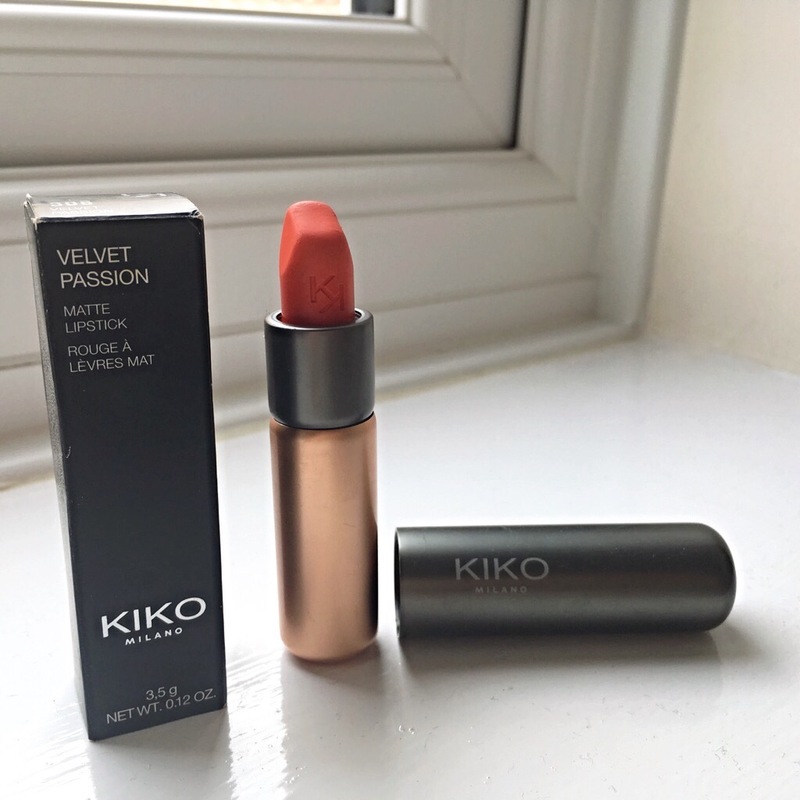 It was about time I purchased another colour, which is why I visited my nearest KIKO Milano store last Friday and purchased this 308 Papaya velvet passion lip colour. The only down side with this particular lipstick is that the colour pops so much that upon application, you need to have exfoliated and moisturised the lips. This provides a smoother application without the slight flakiness that I experienced. 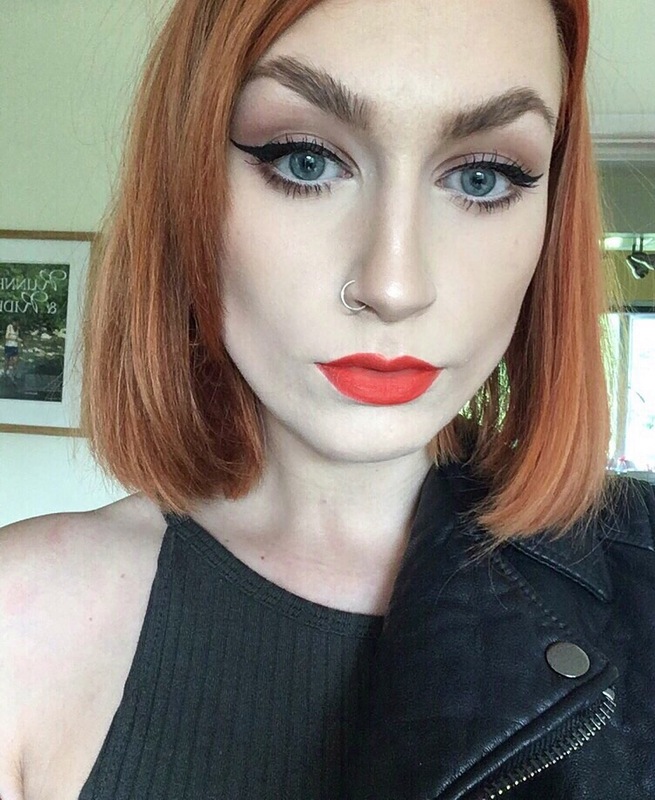 Besides this, I love the colour (even if it does clash with my hair) and think that the long-lasting texture is gorgeous – a deep and intense coral/orange-red shade. I purchased multiple products from the store, so hold tight for more product reviews! Such a gorgeous color! 😊 I also found that I had to moisturize a lot to keep it from flaking. That is such a beautiful colour! its perfect for summer, great post 🙂 i will defintely be checking it out! Really enjoyed this post, Kim! I love orangey-red lipsticks, so will need to check that one out. Kiko recently opened a store where I live and so I have been enjoying trying their products. I haven’t tried any of their lipsticks but I have tried their high pigment eyeshadows (the wet and dry ones), the water eyeshadows and a couple of their lipliners. Great products! I just picked up two eyeliners, a mascara and two more eyeshadows. Looking forward to trying them out and reviewing them soon. Have you tried any of their eyeliners or mascaras?